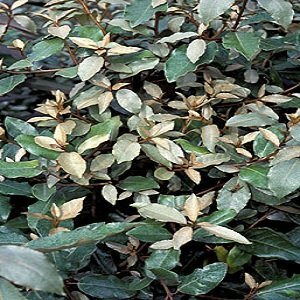 Fast growing evergreen with very attractive, large, leathery leaves metallic grey-green above and silver underneath but when young are almost entirely silver. Many inconspicuous but strongly fragrant, bell shaped, silvery flowers appear in clusters in October and November and these are followed by small oval orange or red fruits in spring. 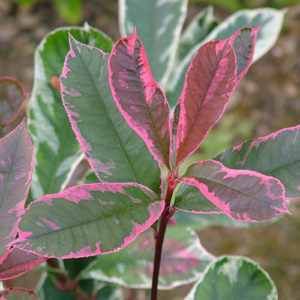 Suitable for planting at 2 per metre. 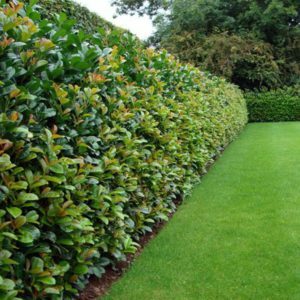 Tags: Eleagnus ebbengei, evergreen hedge, silver grey hedging.